The ultrathin automatic Elite is a timeless Zenith beauty. The stainless steel case of this watch with 50+ hours of power reserve presents the bezel set with 72 diamonds. 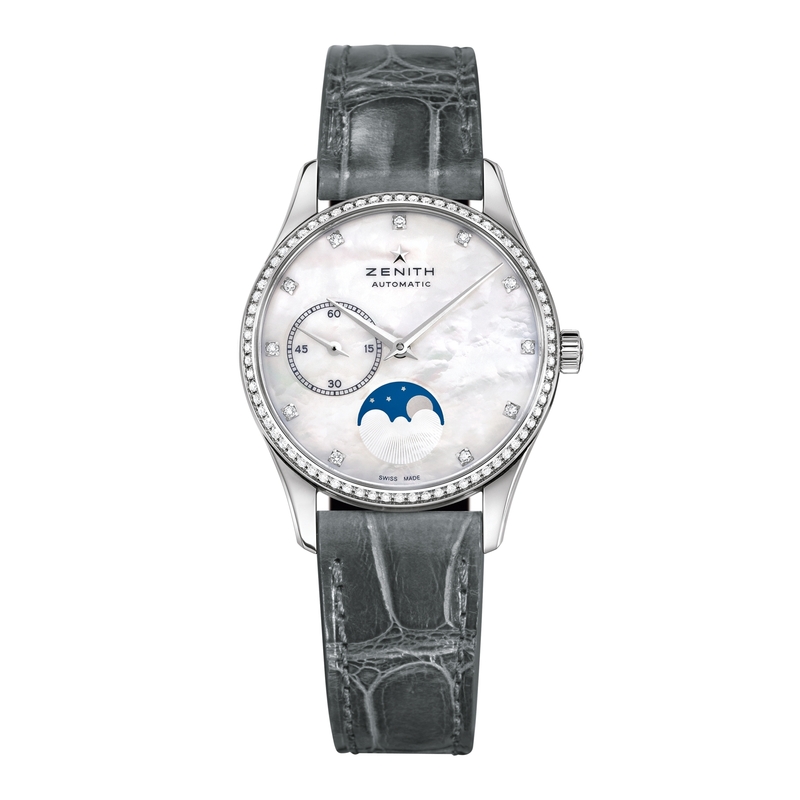 White mother-of-pearl features on the dial with a moon phase indication at six o'clock. Hours are marked by eleven set diamonds, small seconds are presented at nine o'clock. Faceted, rhodium-plated hands, a shiny grey alligator leather strap with protective rubber lining and a stainless steel pin buckle add the finishing touch.